Our “Raise the Roof & Build It Now!” campaign is an initiative where the donations of building materials you select – a door, a window, lumber and more –are secured through the Amp Your Good web site. It’s a real “give changer” because 100% of the dollars you spend for materials goes straight to the homeowner construction site. Morris Habitat homes are built by hundreds of volunteers, with over 10,000 volunteer visits per year. They work alongside partner families, who are required to invest at least 300 hours of sweat equity toward the construction of their home or another Habitat project. Through their own hard work and the generous support of people like you, low-and moderate-income families are prepared for home ownership by Morris Habitat, helping them gain the confidence and skills needed to become financially stable and self-sufficient. Building and restoring homes are at the heart of what we do. 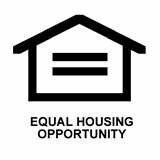 It only happens by bringing caring people together who create homeownership opportunities for deserving families. Our volunteer program provides the labor to make it possible to do what we do with the generous donations we receive. Watch for our next “Raise the Roof” campaign. Morris Habitat hosts two signature charity events to raise funds for our programs. The Hearts and Hammers Gala is an elegant evening event held each year in February. It is a time to honor those who have shown exceptional support or service to our mission, celebrate what we have accomplished in the past year, and raise funds to support our future goal. You can participate in this charity event in Morris County as a sponsor or you can buy individual tickets. Hammer for Heroes is a chance for volunteers of all levels of experience to put on their work clothes and come together to honor our veteran homeowners and to build walls for future Morris Habitat homes. You can participate in this charity event in Morris County as part of a sponsor’s team. Vehicle donations can help a family within your local community build a house and the hope of a better life! By contibuting to Habitat’s Cars for Homes™ car donation program, you help Morris Habitat for Humanity build houses in partnership with families in need of decent, affordable shelter. It is quick and easy to donate old and unneeded cars, trucks, boats, RVs, motorcycles, snowmobiles, construction equipment or other vehicles — running or not! Donated vehicles are typically picked up within two or three days after the title is received by the processing center. If you live in Morris County, click here to donate a car, truck, motorcycle or RV to Cars for Homes™. If you live outside the service area where we build, you can still support our work with your car donation by calling Cars for Homes™ toll-free at 877.277.4344 and specifying that you wish Morris Habitat for Humanity to benefit from your donation. There are many ways that you can create a legacy. By naming Morris Habitat for Humanity as a beneficiary of your will, living trust, or retirement plan assets, you help bring hope to future generations of families in need. Your gift allows you to transform the lives of your hardworking, income qualified neighbors and revitalize your city’s underserved neighborhoods for decades to come. When you give to Morris Habitat through your estate or long-term financial plans, you are forging your legacy and ensuring that future generations can secure quality, safe and affordable housing. We are happy to answer any questions that you, your lawyer or advisor may have regarding the benefits and advantages that planned charitable giving can bring. Please contact Christopher Palazzi at christopher.palazzi@morrishabitat.org with any questions. Donations are a huge part of Morris Habitat for Humanity, and In-Kind donations are just as important as monetary ones. Morris Habitat is always looking for NEW building materials. In-Kind donations of used building materials can be donated to our ReStore where they will be sold to the public to generate funding for Habitat houses. In addition, professional services are required on Habitat work sites for masonry, HVAC installation, electrical wiring, plumbing and other services. The business of building and selling homes requires professional skills that are often generously donated by local experts. Lawyers, accountants, architects, graphic designers, and marketing specialists have all contributed their time and resources to help us pursue the Habitat mission of eliminating substandard housing. If you would like to donate professional services, please contact Liz DeCoursey at liz.decoursey@morrishabitat.org. With the high cost of land and homes in Morris County, property acquisition has always been the greatest challenge we face. Without land, we cannot build and if we cannot build, we cannot achieve our goal of eliminating poverty housing and homelessness. A charitable gift of land or of an existing home enables us to continue helping families in need and it provides you, the donor, with an opportunity for tax savings. A gift of real estate owned for more than one year entitles you to a charitable deduction for the full market value at the time the gift is made. Additionally, if the real estate has appreciated, you avoid a capital gains tax on the appreciation. Property located in or near Morris County. Reasonable acquisition cost. There may be some flexibility on price depending on condition of the lot or of the existing home and on the number of homes we can build. Manageable topographical issues (e.g., wetlands, slope, trees). The availability of public sewer, water and utilities. Close proximity to public transportation is preferable. If you would like to donate real estate, please contact Liz DeCoursey at liz.decoursey@morrishabitat.org.